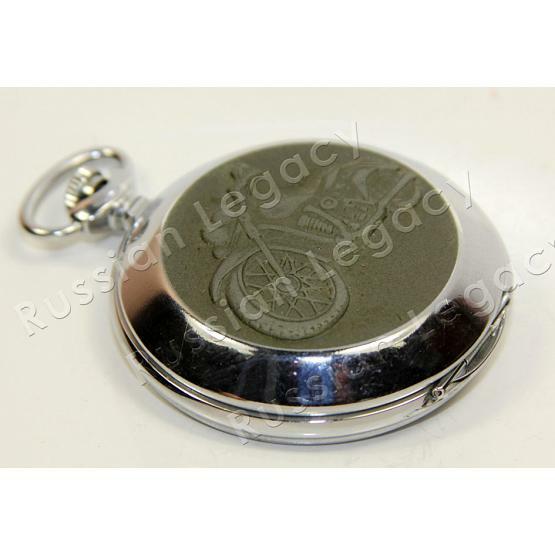 Authentic Molnija pocket watch made in Russia. Genuine movement with 15 ruby jewels. Motorcycle is imprinted on the front cover, while the reverse features the slogan and symbols favored by many bikers around the world. 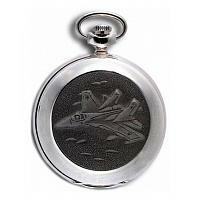 Chrome-plated stainless steel chain with swivel fob are supplied. Imported from Moscow. Ships within 7 business days.